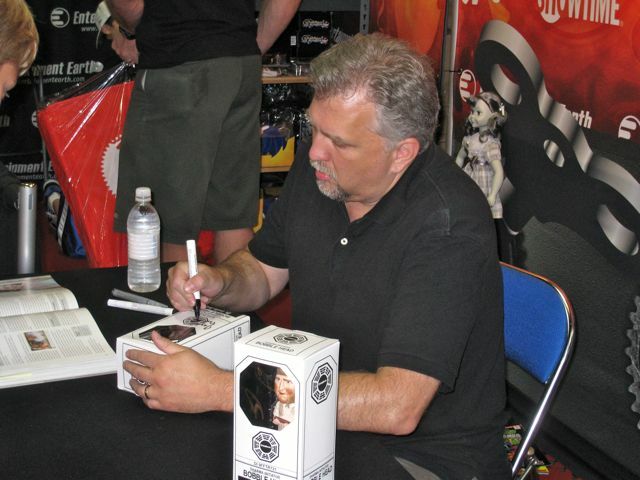 Our preliminary effort consists primarily of amassing autographed items and rare one-of-a-kind collectibles, and Comic-Con 2011 proved to be very fruitful. We managed to acquire items autographed by some amazing cast members, including Daniel Roebuck (Dr. Leslie Arzt), Dominic Monaghan (Charlie Pace), and Jorge Garcia (Hugo “Hurley” Reyes). Here’s a sneak peek! 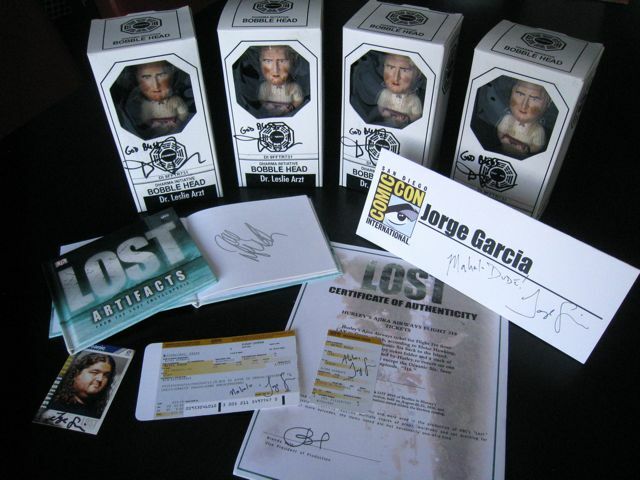 Some of our collection from Comic-Con 2011…including Jorge Garcia’s panel name card, Hurley trading card, and Hurley’s Ajira 316 boarding pass from the official LOST auction, all signed by Jorge Garcia!